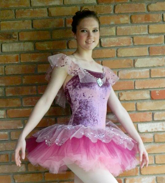 Are you ready to get stronger both physically and mentally before those important summer intensive program auditions? 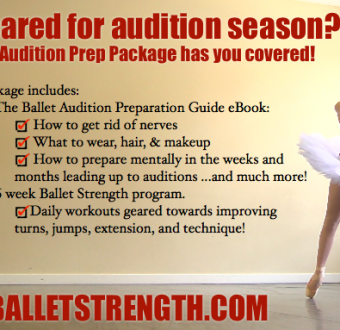 The Audition Ready Training Program is a 6 week training plan that will improve your dancing through strength training as well as your mental focus and preparation for auditions. 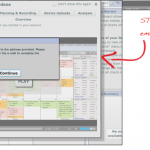 Receive daily workouts with photos and/or videos to show you exactly what to do.